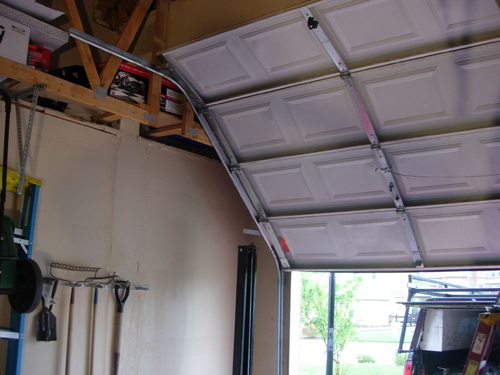 Because we can handle any garage door problem you have, we offer custom garage door installation. Some possible custom installs include: Hi-lift garage doors, retro fitting an existing garage door, side mounted garage door openers and custom accent image doors. If you have unusual needs for you garage door, make sure to give us a call to let us help your garage door just the way you want it. 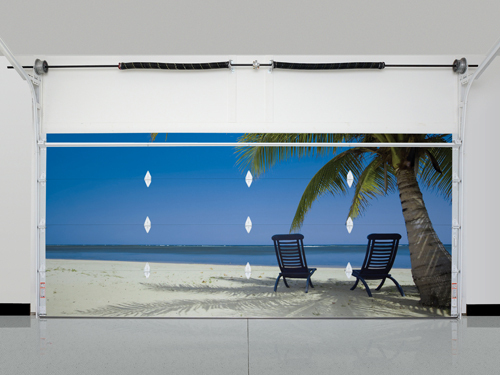 The image to the left is an example of a Hi Lift door installation when you need a tall profile for your vehicle in your garage. 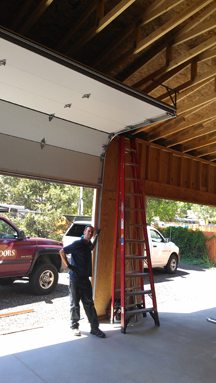 Whatever your custom garage door need is, we can handle it!